Finding Temple’s ancestors: which way should I go? By the time Monday comes around, I’m eager to send my kiddies off to school so I can get down to digging up my roots. But today, I was overwhelmed by the size of the task. It seemed a million different directions beckoned me to, “Look Here!” Today, it felt like I had too many leads to follow. family histories in Warren County, North Carolina where Hill Jones was born. Jones was Temple’s earliest owner that I’ve been able to find. Family histories might record how Temple entered into the Jones family, perhaps as part of a will or through a marriage. track down deeds of sale belonging to Hill Jones which may show who Hill Jones bought her from if she wasn’t passed down to him through his family. Burton slave owners, since Temple’s last name is Burton and slaves often took their owners’ last name. While three directions doesn’t seem like an awful lot, each of them splinters off into many more trails. For example, I’d need to look up Burton slave owners in several different places. Temple’s census records aren’t consistent and list several different states as her parent’s place of birth. That means, I have to consider Burton slave owners in Mississippi, Louisiana and Alabama, the states listed as her parents’ places of birth. It’s doable, but not in one school day. By the time I called the Warren County records department in North Carolina, was redirected to their state archives, and abandoned that trail to try my hand at a hail mary search of Burton slave owners in Alabama and Mississippi, it was already time to meet the girls at the bus stop. I did at least find information about another Burton, Annie who published her memoirs on her childhood in slavery. But I need to get organized. I know I’m not going to find any specific record in one day, but I probably need to focus on one set of records at a time, lest I get waylaid like I did today. What do you think is the first trail I should follow on this leg of my journey? Deeds of sale. This will be interesting no matter what. Thanks, Alice. Most responders feel the same. I’m excited to have one place to focus. Thanks for reading! Dionne, this is amazing. Let me say that again, AMAZING! What a great picture, and with so much history behind it! I don’t know for sure where you should start, but my guess is with deeds of sale. I also have Warren County ancestry (as well as Franklin) and I make several trips to the Archives each year. I’ll try to remember to let you know the next time I’m going. Perhaps I can help out a little. The family histories are amazing. Thanks for reading, Bernadette! That is one incredible picture! I’d say absolutely don’t go the Burton slaveowner route. You know the last slaveowner, so we always start from the known. Now you flesh out his family in detail through deeds, probate, marriage, tax and court records—the whole ball of wax. Researching the slaveowner family in depth at the county level will hopefully shed light on Tempie’s roots. Good luck to you!! Thanks for the advice, Robyn. I came across this picture on an Ocean Springs, mississippi online archive a couple of years ago and actually had it posted on my blog. But about a month ago, I took it off because I was worried about not having permission for it. It was donated to the Mississippi State University archives and I couldn’t find the woman who donated it in order to get permission. But after checking with the copyright office, it seems it’s not protected by copyright because of its age. So I thought I’d put it back…Thanks for reading and for your help! What a great picture. 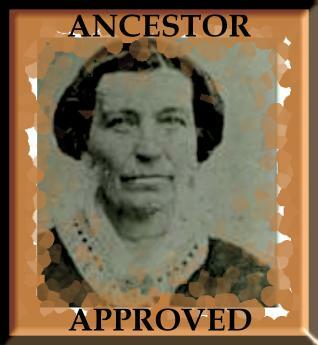 I would give anything to have a similar picture of some of my direct line ancestors. As far as where to look, agreeing with the previous comments so nothing really new to add there. Thanks for sharing. Robyn is correct. Learn as much as possible about the last slave-holding family.In fact become an expert on their history and in the process you will learn about the origins of your great great grandmother. Thanks Mavis and Dorsey. I’m looking forward to learning more about the Hill Jones family and hopefully my Temple Burton in the process.